The FDA has not issued any warning about Canine Carry Outs. But if you’re considering buying them, you’ll want to read this first. A veterinarian’s online post about Canine Carry Outs has caused confusion. There is no recall/warning from the FDA. Here at Petful, we’re constantly tracking pet food recalls. This year we’ve been hearing a lot of rumblings about the FDA supposedly coming down hard on a brand of treats called Canine Carry Outs. 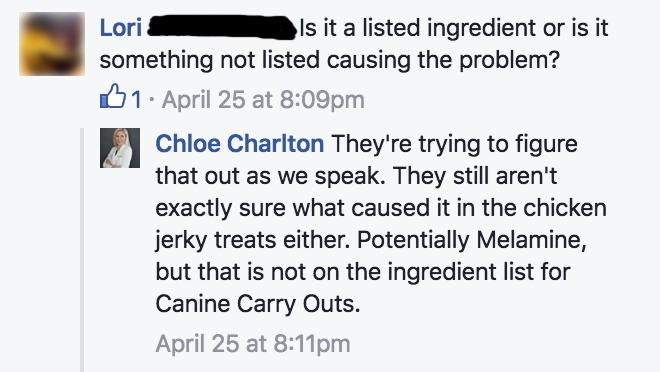 “THESE TREATS COULD POISON YOUR DOG,” Dr. Charlton warned in all caps over a photo of the product. 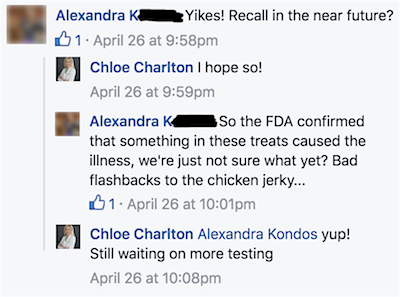 “So the FDA confirmed that something in these treats caused the illness?” asked a commenter below her post. “Yup!” came the reply from the vet, who suggested hidden melamine may be to blame. The FDA has not confirmed that something in the treats caused the illness, and the federal agency has not recommended removal of Canine Carry Outs from the market. Dr. Charlton submitted a urine sample to an FDA-affiliated lab from a small dog who had experienced Fanconi syndrome-like symptoms. The dog had been fed Canine Carry Outs (beef flavor) every day for a year, according to Dr. Charlton. The test results of this one dog’s urine seemed to “indicate the presence of Fanconi syndrome” in the dog, according to the letter from the lab to Dr. Charlton, dated March 24, 2016. The treats themselves apparently were not tested. 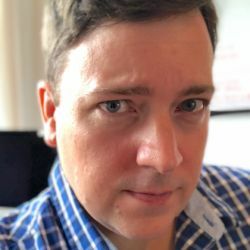 Despite being emblazoned with the phrase “FDA REPORT” in huge red type (added not by the FDA, but by Dr. Charlton), this was not what most people think of when they hear about an “FDA report.” Rather, it was only a quick summary of urinalysis results sent to a veterinarian from an FDA-affiliated testing facility. The letter recommended that jerky treats be removed from this specific dog’s diet — it didn’t recommend a blanket removal of Canine Carry Outs from the market. The veterinarian’s posts didn’t escape the attention of a few skeptical consumers. Finally, yet another commenter pointed out that “Canine Carry Outs” weren’t even mentioned in the letter from the lab. Contacted by Petful, Dr. Charlton first asked us for more information before she might agree to be interviewed on the matter. “Can you tell me a little bit about … the purpose of the article?” she asked. In other words, then, the letter wasn’t even for public release. The J.M. Smucker Company, the company that makes Canine Carry Outs, vigorously defended the treats in comments to Petful earlier this week. That’s simply not true, and we feel compelled to clear things up. The FDA did not conclude that this specific treat caused a dog to be sick — the lab concluded only that the dog was sick. Of course it’s very possible that there is indeed a problem with the treats. We just don’t know that for sure. We have seen a number of anecdotal reports around the internet from people who say their dogs got very sick or even died after consuming Canine Carry Outs. While we’re on the subject… Despite persistent rumors since at least early 2015, there is no “antifreeze” in Canine Carry Outs. As Petful and Snopes have pointed out before, the ingredient propylene glycol is very different from ethylene glycol (antifreeze). Propylene glycol is recognized as generally safe in dog food — though we don’t like seeing it in ingredients lists. Despite these important clarifications, we still recommend that you choose not to feed Canine Carry Outs to your dog. Besides the complaints we’ve heard about illnesses, these treats have what we’d consider to be very subpar ingredients, such as corn syrup, animal fat, animal digest, BHA, artificial colors and flavors, and the aforementioned propylene glycol. Our take on this Canine Carry Outs mess: Dr. Charlton seems to be a great veterinarian who truly cares about the animals and is looking out for their safety. We agree with her that it’s “better safe than sorry” to let people know that Canine Carry Outs may have sickened one of her patients. She means well. We just don’t agree with her giant leap to conclusions and some of the tactics she used to draw attention to her news. 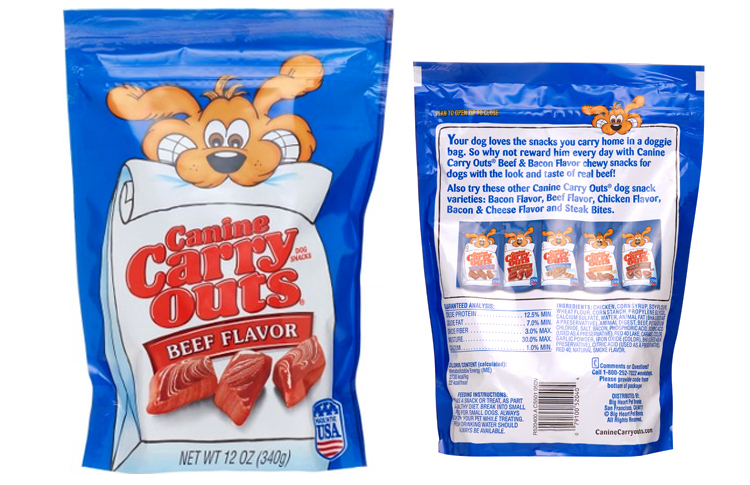 If we hear any new facts about Canine Carry Outs from the FDA, we’ll update this article right away. If your pet was sickened after eating these treats, we’d love to hear from you — please share your story in the comments below.